Freshening up plastic furniture is a simple task. However, don't attempt to repair plastic furniture that is split or broken. When garden furniture gets to this stage it is time to throw it out. But you can give new life to weathered items by using a specially formulated plastic-furniture spray cleaner and a soft cloth to remove dirt and grease. Look for a product that contains ultraviolet stabilisers as this will help prevent colours from fading. Don't use stiff brushes or abrasive cleaners as these can scratch. 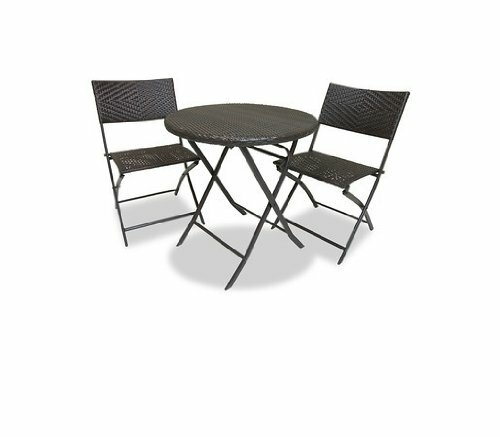 Furniture covers will protect and lengthen the life of plastic outdoor tables and chairs. are made of perfect lightweight steel. Wooden garden furniture can also be weather-proofed. 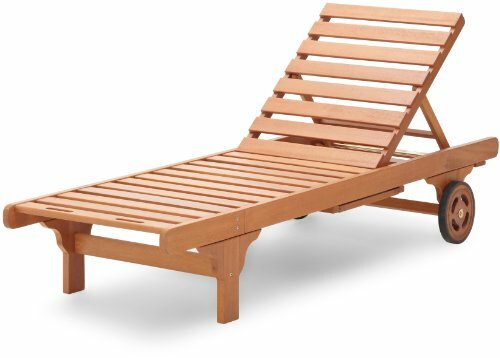 Wooden garden furniture can be softwood or hardwood. Both will slowly deteriorate if left outside without some sort of protection. Fittings may rust and the wood become dry. Regular maintenance will lengthen the life of outdoor furniture and keep it looking smart. Rusty fittings can be removed, treated with a rust-inhibitor then replaced. If making outdoor furniture it is a good idea to use brass or rustproof fittings and screws. To restore hardwood furniture to its beautiful dark colour, first scrub the framework thoroughly with soapy water and allow it to day. Apply a coat of furniture oil with a brush or cloth. This will replace the natural oils and stop the wood from drying out. After the oil has dried, recoat the items. Again allow to dry then rub with a clean cloth to remove excess oil. Leave for twenty-four hours before using so that oil stains don't mark clothing or cushions. Oiling hardwood furniture should be done every six months to keep the wood looking good. Softwood furniture can be cleaned, rubbed down the revarnished or stained. After a period or time, metal garden furniture can become rusty and corroded. If left outside and not protected with a cover, the damage will occur in a much shorter time frame. Once exposed to dampness and adverse weather conditions it will not be too long before outdoor furniture begins to look very much worse for wear. It is not difficult to remove rust and grime and, once repainted, your outdoor furniture will look like new again. This is a relatively simple job and certainly one that can be undertaken by any female who can read and follow instructions – and isn't that all of us? Wrought iron furniture weathers badly if not protected. Green algae can collect and grow in all the little crevices and rust can be another problem. Wear goggles to prevent rust flakes from drifting into your eyes. Use your wire brush to remove the flaky paint and rust from the surface of the metal. If there is organic growth (algae) on the metal, remove by scrubbing with a stiff brush then treat with a fungicide. This will inhibit any further growth. Use a small paintbrush to apply a rust inhibitor. Work the product into heavily affected areas. Some products will take the surface back to bare metal. Read the manufacturer's directions on the product before using as these are caustic products and should be treated with respect. When you've finished removing rust and algae, rub the surfaces thoroughly using abrasive paper. The aim it to create a smooth finish, thus providing a good surface for painting. Use a cloth soaked in white spirit to get rid of all dust particles. Next, apply a coat of anti-rust primer. Allow it to dry then apply one or two coats of an exterior gloss paint suitable for metal. Be sure to allow each coat to dry thoroughly before applying the next. Great article to get me going on my patio furniture - if it ever quits snowing! Thanks for some good suggestions. Snow? What's snow? Just kidding - but we don't have any here!